I know off the bat you want to know how much space the digital download of Splatoon 2 will take up on your Nintendo Switch. If you are going to be using the internal storage of the switch, Splatoon 2 will take up 3.2GB of storage space. While 3.2GB of space is not a lot, the Switch has a limited amount of memory and if you start adding up downloads, overtime you will find yourself running out of space real quick. That is why it is a good idea to invest in a Nintendo Switch SD card. Please note that the 3.2GB is just for the download, if there are updates to the game, as well as your save data, the storage space should bump up a bit anywhere from 3.2GB – 4GB. Nintendo has already made it known that they will be releasing future updates and additional content. With the release of these addons, you are going to need more space. Going with a dedicated memory card for your digital downloads is the way to go, as storage space would not be a big worry. 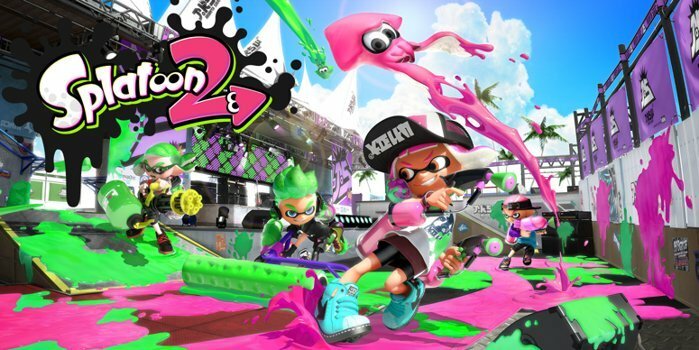 Splatoon 2 is the sequel to the 2015 Wii U third-person shooter Splatoon. This inky team-based third-person shooter allows you to blast your friends with ink in non-stop high-impact action.